The Immediate Family began life as a studio project, comprised of top session players behind nearly 5,000 records, many of them classics in the Rock ‘N’ Roll pantheon. Led by Danny Kortchmar who has played, produced and written for James Taylor, Don Henley, Carole King, Jackson Browne and many more, the band includes some of the world’s most iconic and recorded musicians. Lending guitar/vocals is Steve Postell, who has worked with Jennifer Warnes, David Crosby and many others. Also on guitar and vocals is Waddy Wachtel, the consummate rock guitarist who has played with many of the same artists including many years with Stevie Nicks, Keith Richards, and the late Warren Zevon. 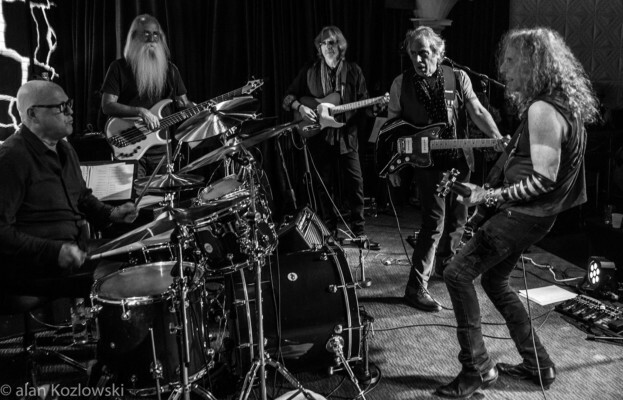 Rounding up the band is revered rhythm section Leland Sklar on bass and Russ Kunkel on drums. Tickets on sale Thursday at 10am!